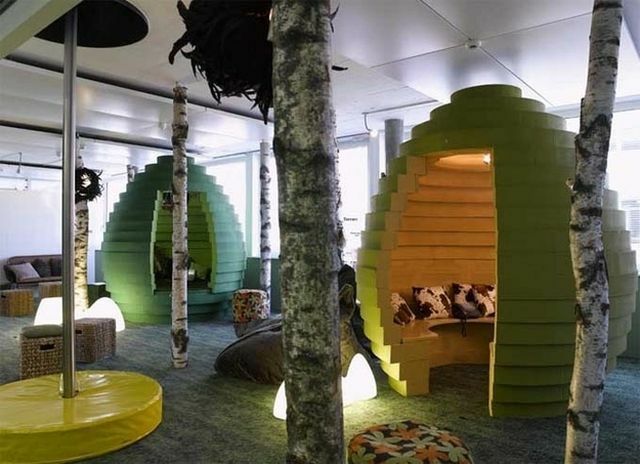 In this quiet green pod at Google in Zurich. 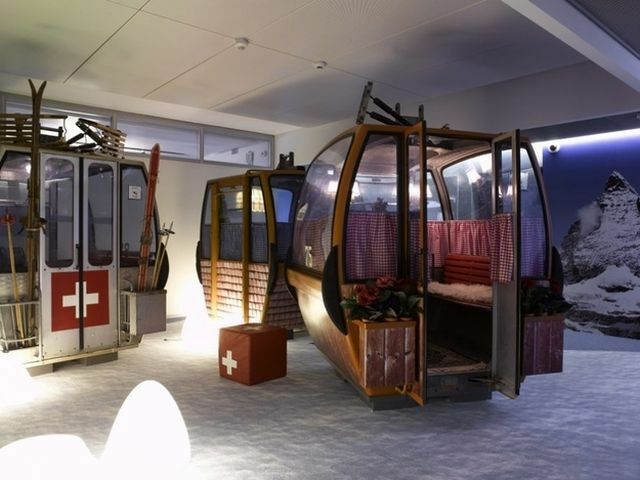 Or inside this indoor ski lift at the office. 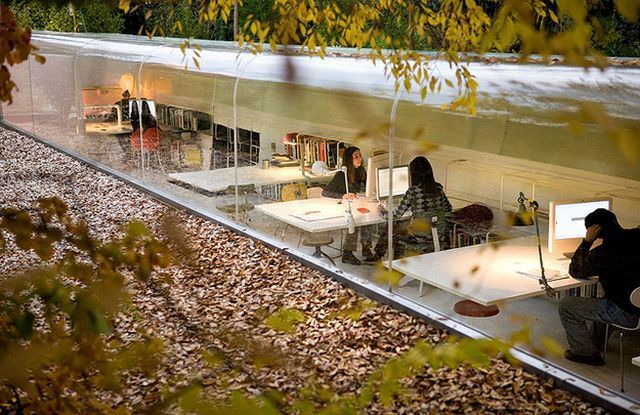 Surrounded by nature at Selgas Cano Architecture in Spain. 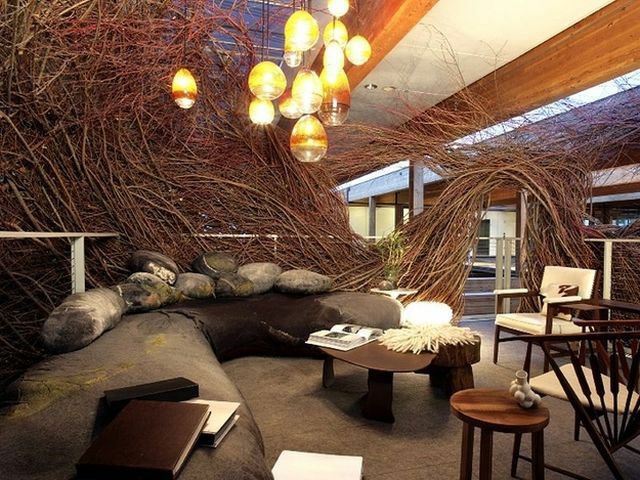 In this nest at Wieden + Kennedy in Portland. 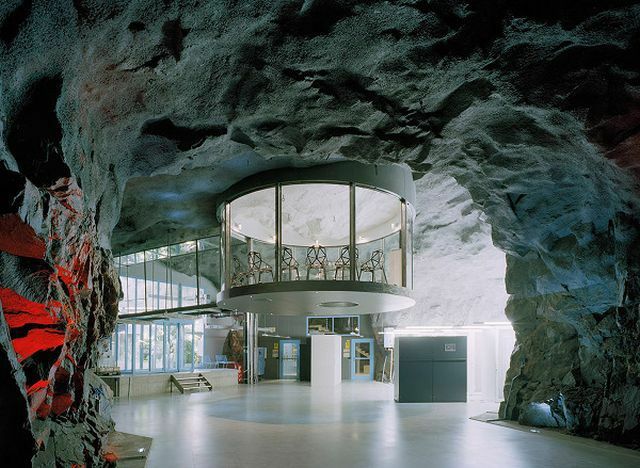 Sitting in this cave-like structure at Bahnhof in Sweden. 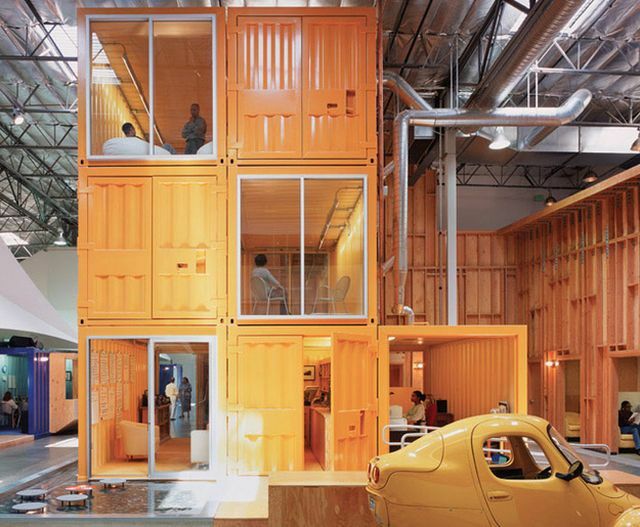 On the third floor of Pallotta Teamworks in Los Angeles. 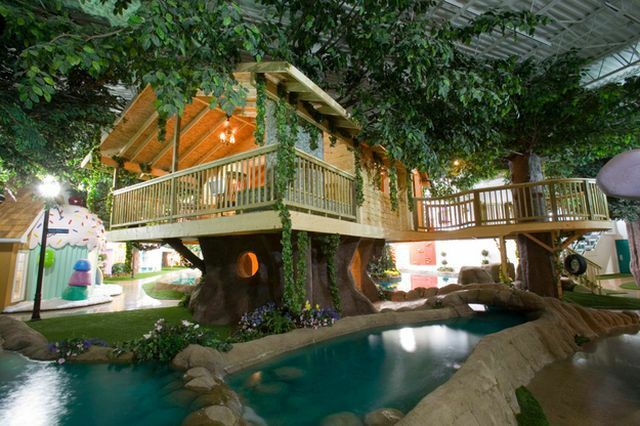 In this tree house at Inventionland in Pittsburgh. 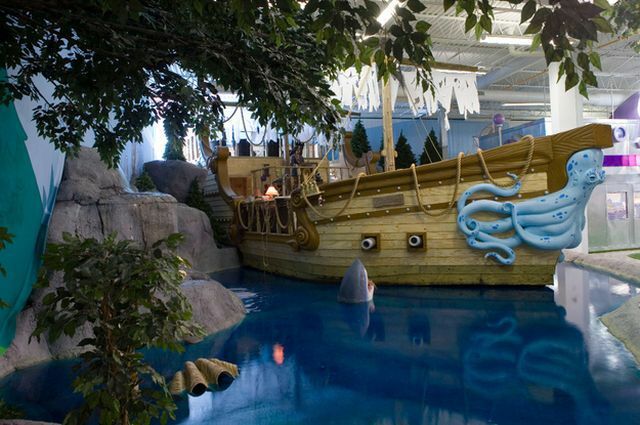 Or maybe aboard this pirate ship on the other side of that office. Sitting on the grass at TBWA Hakuhodo in Japan. 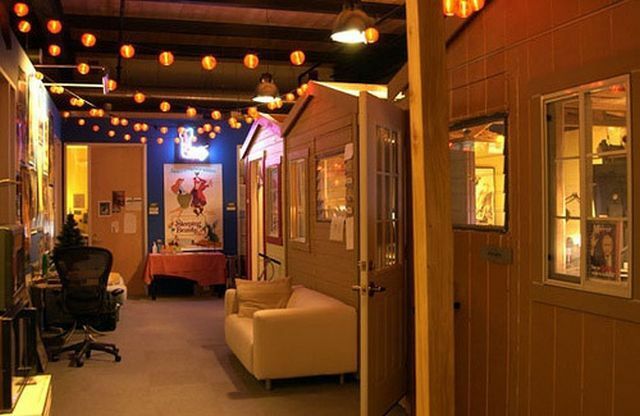 At the neighborhood located inside Pixar in Emeryville, California. 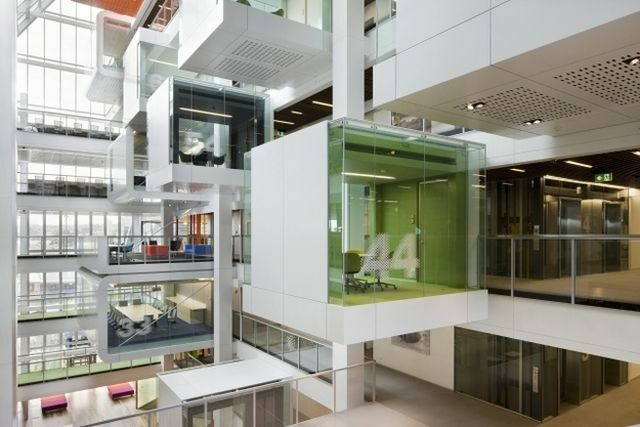 In these colorful pods at BBC North in the U.K. 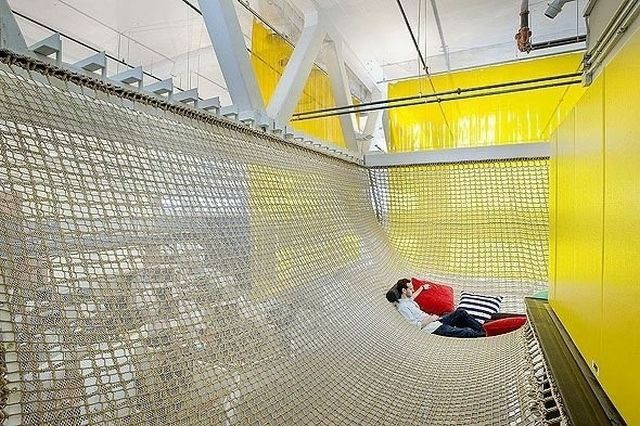 Laying on this large hammock at Google in Pittsburgh. 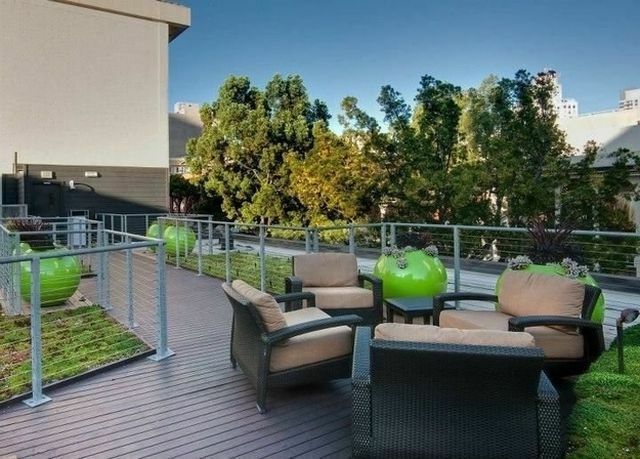 On this comfy chair outside at Co-Merge in San Diego. 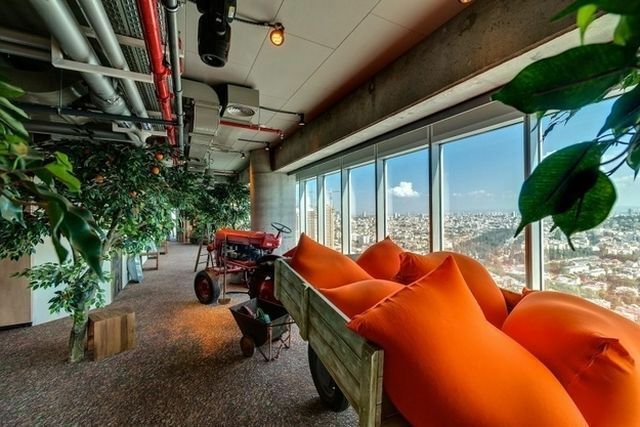 By the window view at Google in Tel Aviv. 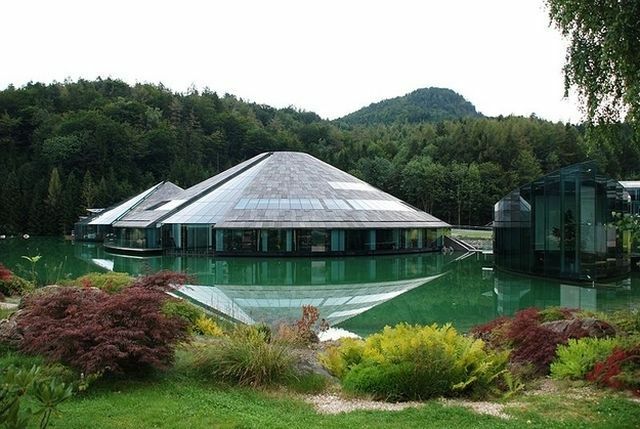 Facing this waterside view at Red Bull in Austria. Sitting on this red booth at LEGO in Denmark. 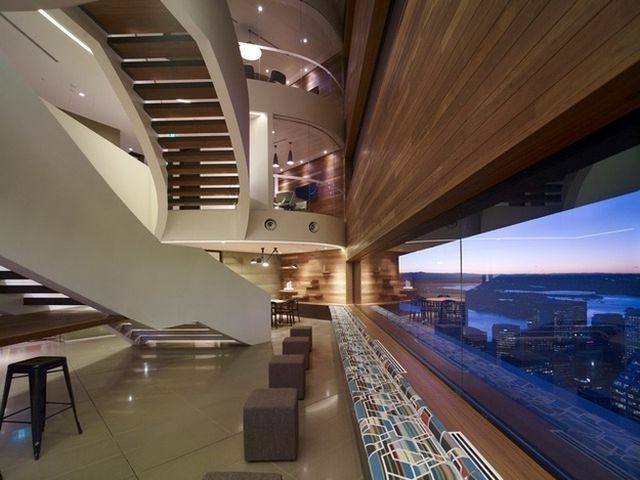 Overlooking the skyline at GPT Group in Australia. 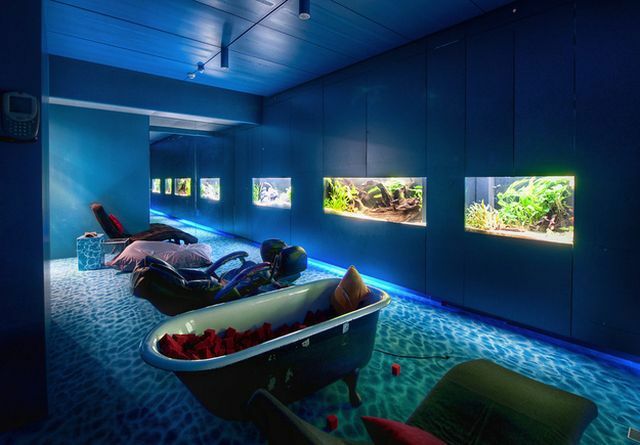 In this cool booth at Saatchi & Saatchi in Thailand. 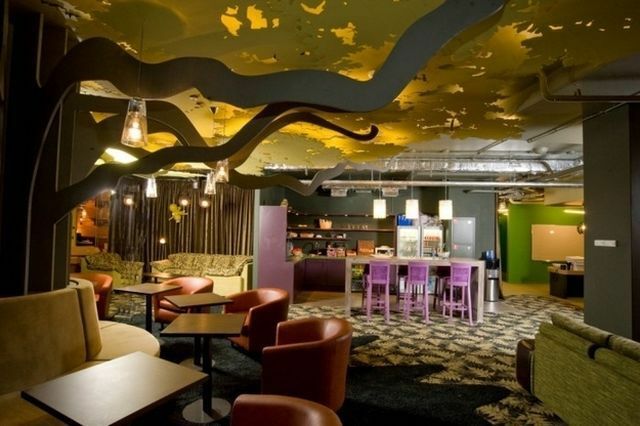 Under this indoor tree at Google in Russia. Sitting on these cushions at DTAC in Bangkok. 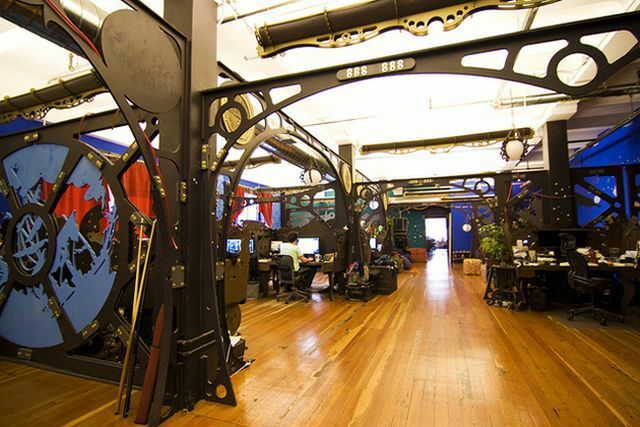 Surrounded by a 20,000 Leagues Under the Sea-themed office at Three Rings in San Francisco. 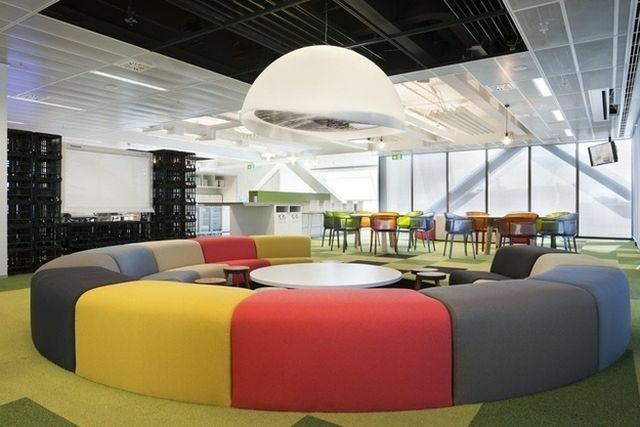 In one of these floating conference rooms at Macquarie Group in Australia. And on this colorful round couch at the office. 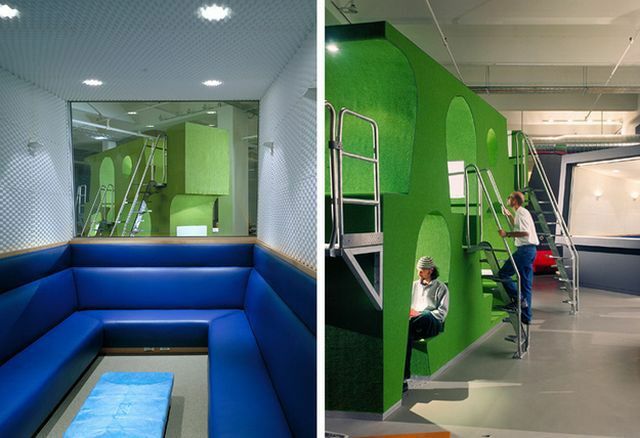 In these green holes at KBP West in San Francisco. 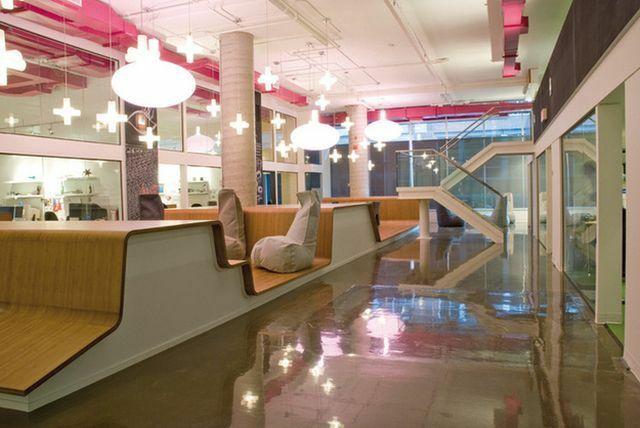 On that beige bean bag at Sid Lee in Montreal. 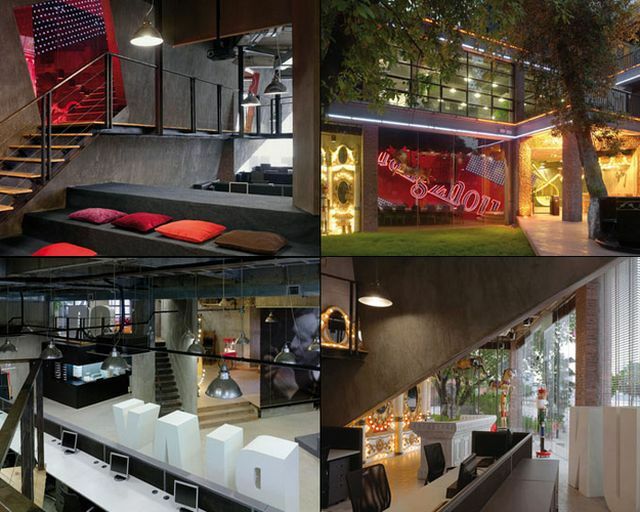 Sitting in pretty much any of these rooms at Ogilvy & Mather in China. 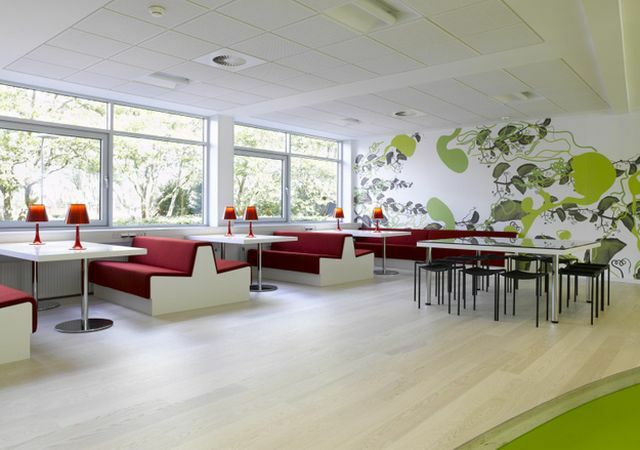 And laying in this serenely peaceful room at Google in Zurich. If I had to do my current job, then it wouldn't matter, I'd still be as depressed.